Bend the remarkable power of Spectral Morphing Synthesis to your will. Do your sound design sessions have you spiraling out of control? 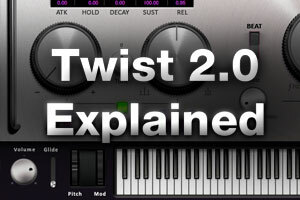 Bend the remarkable power of Spectral Morphing Synthesis to your will and wrap yourself around the mysteries revealed in Twist 2.0 Explained. 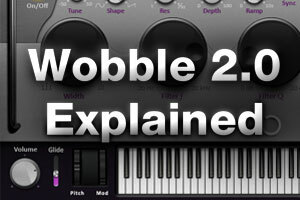 Groove 3 synthesizer sensei Eli Krantzberg is standing by to show you how to uncoil the sonic secrets of Twist 2.0. In addition to an introduction to trans-systemic synthesis, this course will also explore the unique SONiVOX pattern generator and Intelligent Rhythm Control (IRC). 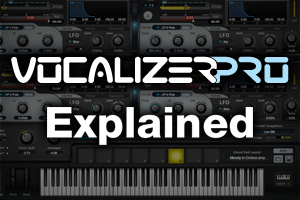 After introducing the synthesizer fundamentals—and the saving and loading of patches—Eli digs deeper into the filter, envelope and LFO functions of the Twist 2.0 sound engine. Next up is a look at the multi-channel pattern generator, and how to make effective use of the Intelligent Rhythm Control. The effects page is the icing on the cake. Twist 2.0 Explained presents over an hour of expert information, divided into eleven chapters that can be reviewed over and over again. Using the tempo-based parameters of the pattern generator, the IRC—and even the delay—allows the creation of massive moving and shifting sounds that stay in sync with your music. Join Eli today and experience Twist 2.0 Explained.